I was happy with how my roll turned out, and amazed that I had enough of a range of colors in my scrap bin to create a rainbow. I've been using color more and more in my quilt sketches these days, so I think this will be a very handy accessory to have. 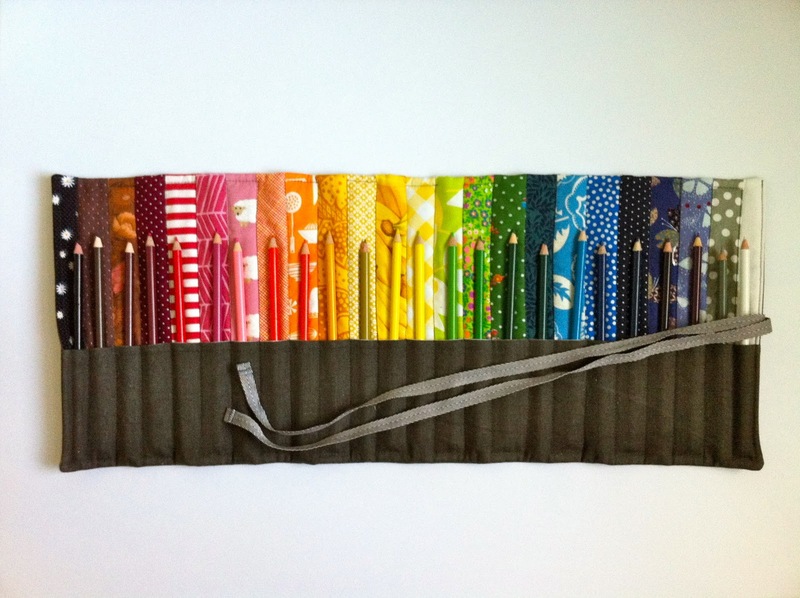 See Kait's pretty roll (and sketchbook!) here.